If you have not use social media before for your marketing needs, then you have missed out on many opportunities. However, it can become quite difficult trying to start a marketing strategy with social networks. The fact is that there are many social media networks now. Moreover, it is not enough that you add a post once in a while. You need a good strategy to help you engage in a better manner. You can utilize the following points to gain a better understanding of the marketing strategies required for social networks. Your profiles in the different social networks have to be branded properly. The only way to do so is complete the profile. Use the bio to explain the services offered by your company in brief. Add a link to your website. There are many social networks nowadays. It is not going to be possible for you to maintain profiles in each of them in the proper manner. You will end up giving lesser attention to each profile thereby reducing its effectiveness. 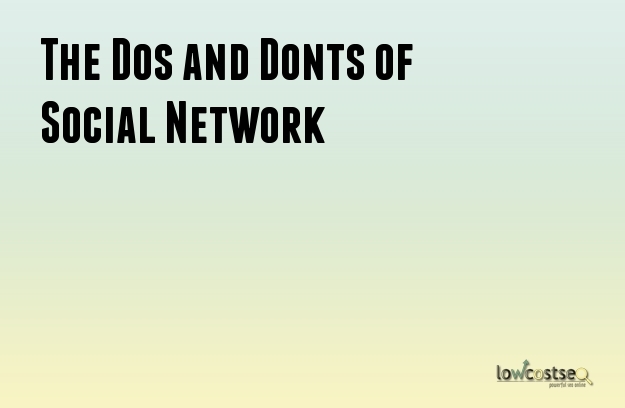 Choose only those networks that will be the most beneficial for your business. Your posts in the social media networks should be engaging. They should bring together your followers and make them engage in constructive conversations. You can ask your followers questions and post comments on a regular basis. Also, ensure that your posts are related to the identity of your brand. Avoid posting content that seem like spam. Informative posts will be appreciated. Your followers will not enjoy seeing posts that are completely advertising in nature. At the same time, your posts should not be so informative that they become boring. Additionally, do not post the same content over and over again. A schedule can help you plan the timings of your post. There are certain times when more of your followers are likely to be online which increases the chances of them seeing your posts. Additionally, the effectiveness of some posts is dependent on the date such as sales announcements. Moreover, a schedule can be used to determine how much time you need to spent on your posts. You should keep track of the comments and posts on your various social network profiles whenever you have time. You should also take time to reply to compliments or find out why a customer is unhappy. The more you engage with your customers, the more effective your social networks become. Social networks are the best place to forge good relationships with not only your customers but also your peers. Share the content of industry leaders and friends in the industry to create a strong community. The connections can prove to be invaluable. Duplicate content is frowned upon by everybody. Always give the proper credits if you are posting content created by somebody else. Social networks can be extremely useful for your business. You just need to use them effectively.